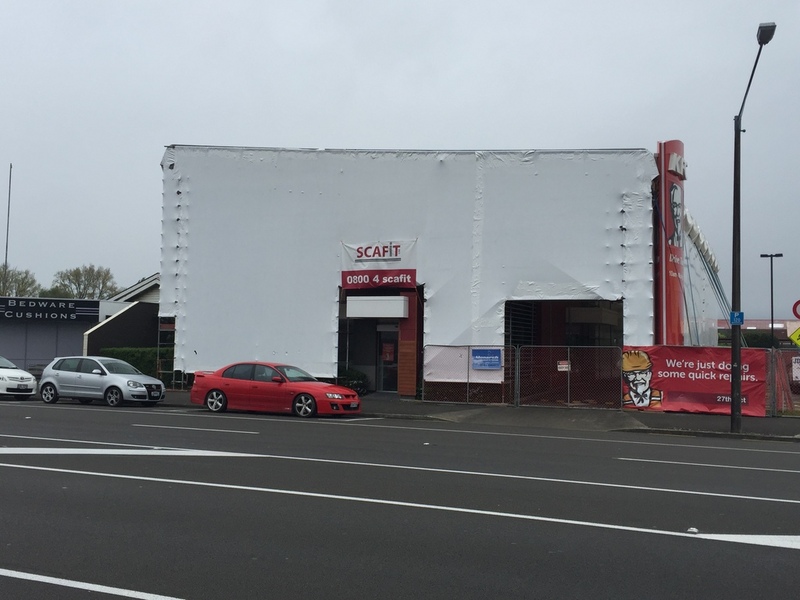 The KFC on Princess Street, Palmerston North, required a complete reroof and partial exterior repaint as part of upgrades. In order to minimize the effect of the works on the popular fast-food outlet, Scafit come up with a solution that allowed the drive-through to remain open and provided weather-tightness. The full exterior scaffold arches out over the driveway allowing vehicle access through the front and rear. A mobile scaffold at the rear provided flexible access while the scaffold was going up. 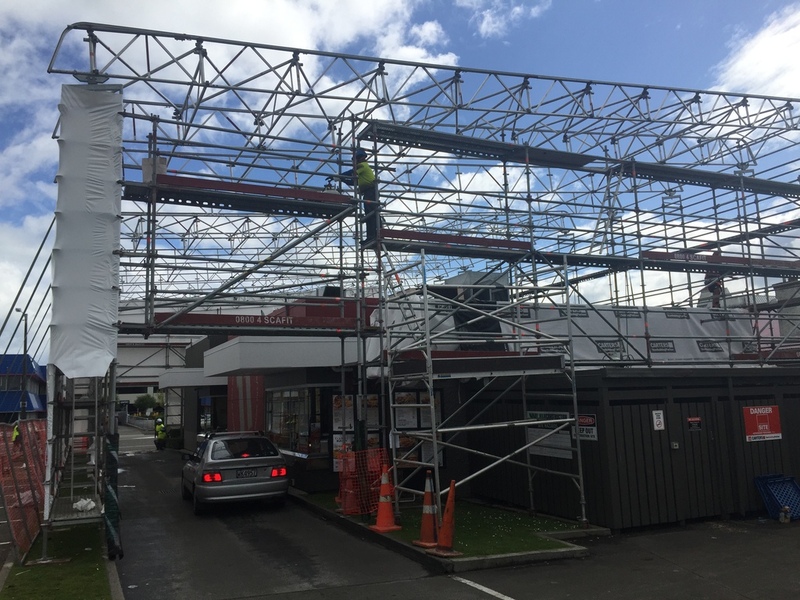 Scafit was engaged for the work by Whanganui-based construction company, W&W Construction.